Just this morning as we were walking to school, Rose and I spied a pair of robins, the official ambassadors of spring. I know all of us want to believe spring has finally sprung, but hold on there. 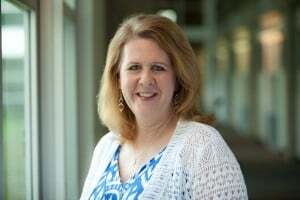 Before you break out the strappy sandals, shorts, and sun block let me remind all of you that it was just a week and a half ago that most of us were covered in about six inches of snow and ice. Anyone who’s lived in Texas more than a week knows that you should never trust the weather to do what it’s suppose to do. Except, of course, in June, July, and August when it’s pretty much blazing hot 24/7. Encourage Mother Nature to hurry up all ready with Grow North Texas’ Beanstalk Gardens event this Saturday afternoon at Urban Acres. Inspired by the story, Jack and the Beanstalk, all types of beanstalk related activities are planned for kids 3 to 8 including fun variations on the famous tale and tastings of beans from the garden. Kids will also be able to create a giant beanstalk trellis on the farmstead, and take a beanstalk home to plant in their own garden. If you’re feeling really confident about the weather you won’t want to miss Light Up the Night Fireworks show at the YMCA’s Camp Carter in Fort Worth. This cool show is the result of a partnership between Pyro Shows of Texas and YMCA Camp Carter. For past three years Camp Carter has hosted Pyro’s pyrotechnician training course which puts its staff and shooters through the paces so they can safely put on a show. The fireworks you can see Saturday night will be a practice run for upcoming shows. Neato, huh? 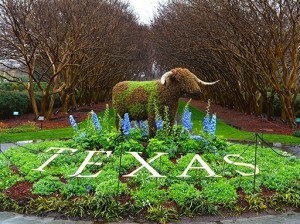 Another opportunity for a little outside time is at the Dallas Arboretum for their annual Dallas Blooms floral festival. This year’s theme is Deep in the Hearts of Texans. 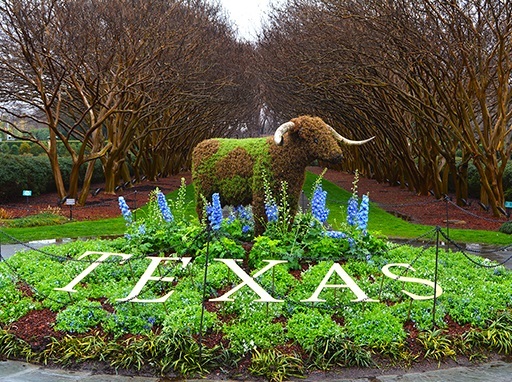 In addition to the 500,000 spring blooming bulbs, you can also see life-size topiaries. The collection includes two longhorns, two horses and the Texas Star– the perfect backdrops for photos of your tiny-Texans. Now before you say, “Holy cats! Are you crazy? The Arboretum is packed this time of year!” Remember, there’s a chance of rain this weekend, which means smaller crowds at the Arboretum. So grab an umbrella, enjoy the sprinkles and the flowers. If you’d rather not flip the coin on the weather this weekend, head inside for two different takes on famous characters from literature. Sure you could go see the new Cinderella film at your local cineplex , but wouldn’t it be better to see everyone’s favorite princess in the flesh? 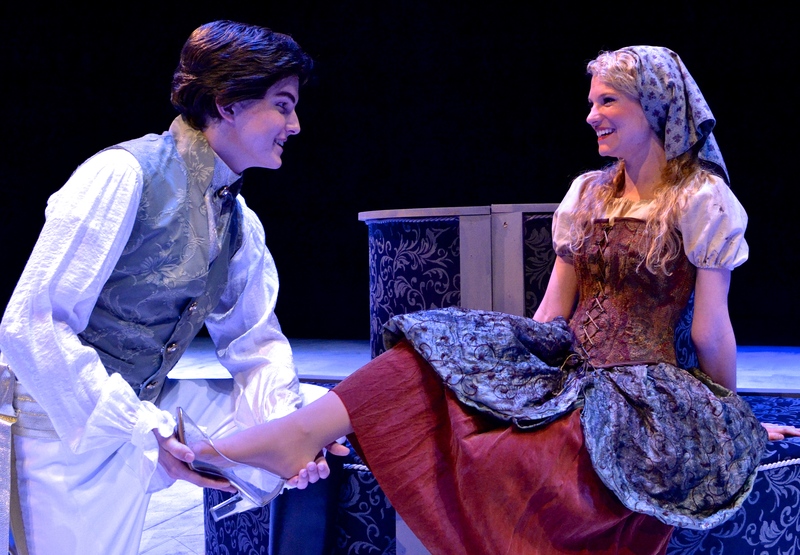 Casa Mañana’s production of Cinderella: The Tale of the Glass Slipper brings the classic fairy tale to life with glittering costumes, sweet songs, and the best pair of ugly stepsisters you’ll ever see. The show opens this Friday with weekend performances through April 5. Got a junior gumshoe on your hands? Then you won’t want to miss the International Exhibition of Sherlock Holmes currently on display at the Perot Museum. Junior Sleuths are given a case notebook (mini-detectives ages 4-7 have their own notebooks) and are tasked with solving a case using crime-solving methods like footprint examination, splatter patterns, and more. It can take a while to do all of the case work, and of course these things can’t be rushed, so be sure to schedule enough time to get all the way through the exhibition. 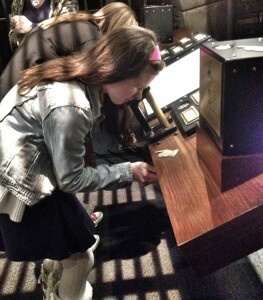 But wait, Junior Detectives! Before you buy those tickets, sign up for this week’s Big Deal for a chance to see it free.